The very first Bentley Motors’ works entry into the Le Mans 24 hour race will star at the 2016 London Classic Car Show this weekend. 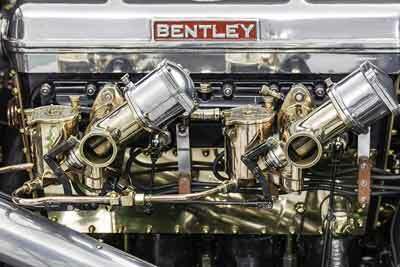 This incredibly important piece of Bentley motorsport history makes a public appearance at the London Classic Car Show from the 18th to 21st February over 80 years after it made it’s racing debut at La Sarthe . 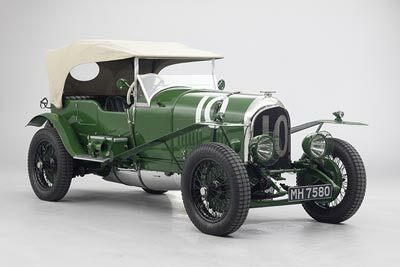 The car raced in the 1925 Le Mans 24hr race, with Bentley Motors Works drivers Herbert Kensington Moir (founder of the British Racing Drivers’ Club) and Dudley Benjafield (winner of the 1927 Le Mans 24hr race) behind the wheel. Despite leading the race from the start, Number 10 unfortunately failed to finish, retiring on lap 19. A last-minute rule change required cars to run with their hood up for the first 20 laps. This massively effected their fuel efficiency and the car ran out of fuel. Dashing W.O. Bentley’s 1925 Le Mans dream in the process. After Le Mans, MH7580 was driven hard as Bentley Motors’ company demonstrator before being sold into private hands. The car has always been in active service and in the 1970s completed over 1000 miles in a day. It was also named ‘Car of the Show’ at the Bentley Drivers’ Club Concours at Hatfield House in 2005. 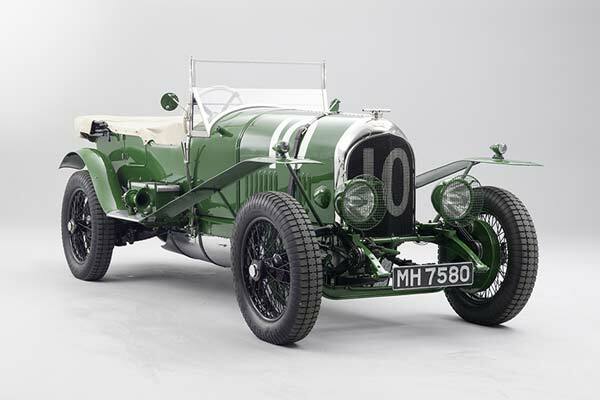 The Bentley 3 Litre Team Car has been looked after by William Medcalf Vintage Bentley for the last 14 years. Receiving a complete and historically sympathetic restoration in 2001, and another full rebuilding in the last couple of years. The car remains very original, with William Medcalf preserving as much as possible when working on it. The car retains its original Vanden Plas four-seater body. In a bid to improve top speed, the car was fitted in-period with a lower, more aerodynamic windscreen than standard. It also came with a large, 25-gallon fuel tank, stiffened suspension and an engine uprated to ‘Supersports’ specification. Racing driver Georgina Riley will be take the wheel of Bentley Motors’ first Le Mans car at the London Classic Car Show. Georgina is a member of the Bentley Belles racing team. A four-strong all-female historic racing team that has competed in the likes of the Mille Miglia, the Le Mans Classic and the Benjafield’s 24 hours race in Portimao. This year the car as making an exciting return to racing at Le Mans after more than 90 years, when it takes part in the Le Mans Classic.